The following is a summary of important tax developments that occurred in October, November, and December of 2018 that may affect you, your family, your investments, and your livelihood. Please Larson & Company for more information about any of these developments and what steps you should implement to take advantage of favorable developments and to minimize the impact of those that are unfavorable. e.	In the case of food and beverages provided during or at an entertainment activity, the food and beverages are purchased separately from the entertainment, or the cost of the food and beverages is stated separately from the cost of the entertainment on one or more bills, invoices, or receipts. 4. 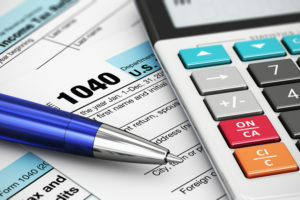 In return for a payment to a charitable organization, the entity receives or expects to receive a state or local tax credit that the entity applies or expects to apply to offset a state or local tax described in (3), above, other than a state or local income tax. For more information, see IRS: Sec. 162 deduction available for payment by businesses to reduce certain state taxes. iii. He or she has experienced other circumstances that prevented him or her from obtaining coverage under a qualified health plan. 3. The taxpayer’s floor plan financing interest (certain interest paid by vehicle dealers) for the tax year.